Who are accessing food banks and why? 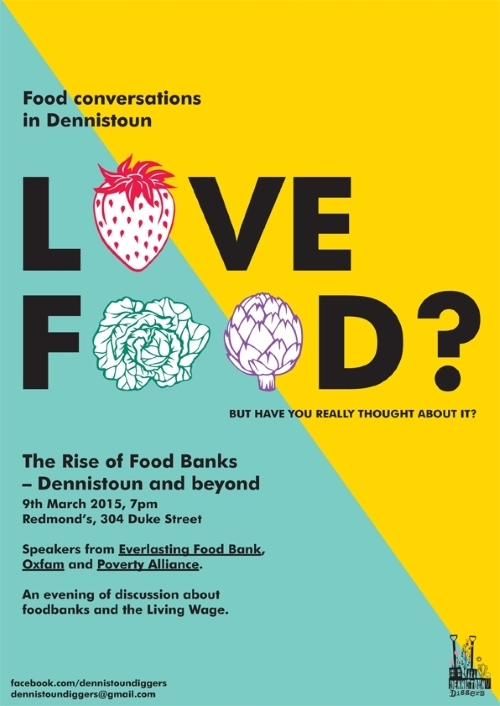 From local people in Dennistoun to across the UK, the Everlasting Foodbank and Oxfam will give short talks on the rise of food banks and the underlying causes of food poverty. Poverty Alliance will then help us to explore the Living Wage as one possible response to the situation. If you are interested in your community and why so many people are going hungry in one of the richest countries in the world then get along for an evening of conversation and discussion.